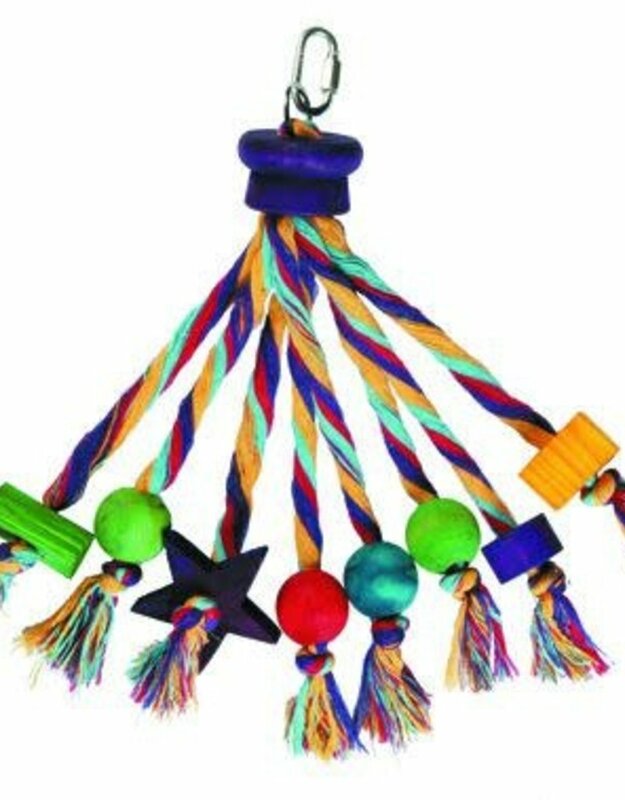 Made from rope and wood, the Carnival parrot toy, is ideal for encouraging natural chewing, shredding and playing instincts as well as helping to prevent unwanted feather plucking. Ideal for parrots and other large birds. 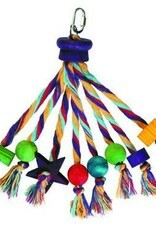 Formulated using non-toxic colours and dyes.